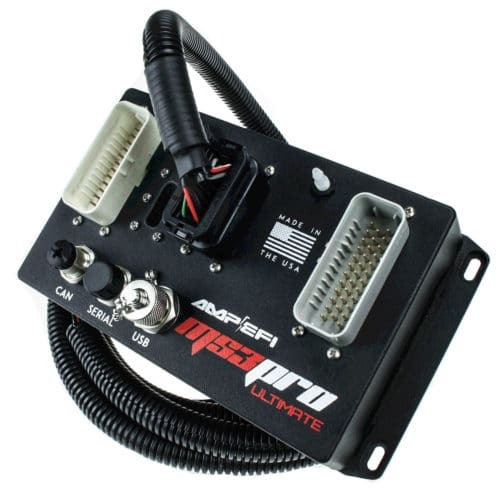 MS3Pro is our top of the line Engine Management System — It features up to 12 fuel channels, 8 ignition channels, and a massive amount of I/O, in a rugged, splashproof case, with AMPSEAL connectors that will stand up to just about anything you can throw at it. 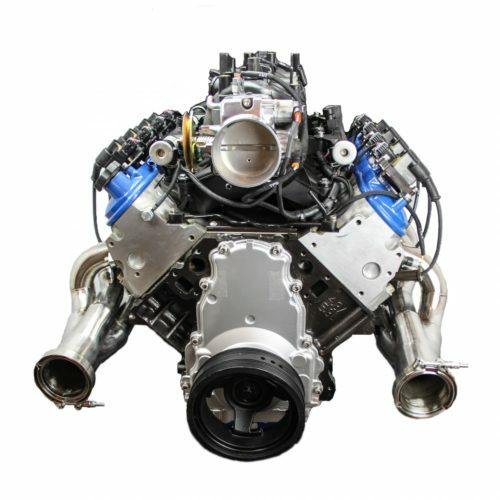 Features include onboard 8 gigabyte data logging (expandable), 2 channel knock control, closed loop boost control, continuously variable valve timing control (up to 4 cams supported!) and more. MSPNP Gen2 and MS3Pro PNP are our two lines of full “Plug and Play” standalone ECUs/Engine Management Systems designed as a direct fit, factory ECU replacement for a variety of foreign and domestic vehicles. 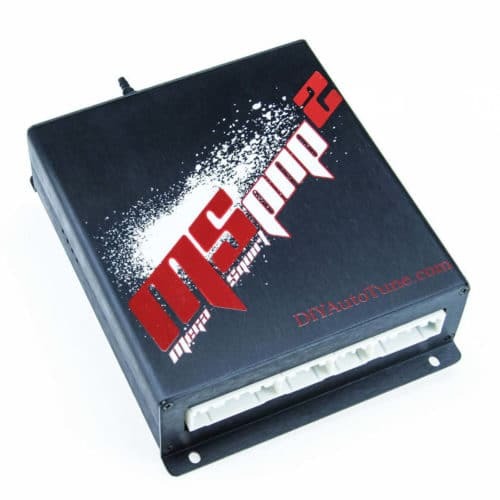 The MSPNP Gen2 ECUs are based on MS2 and allow us to offer you a powerful standalone ECU/EMS at an incredibly low price. 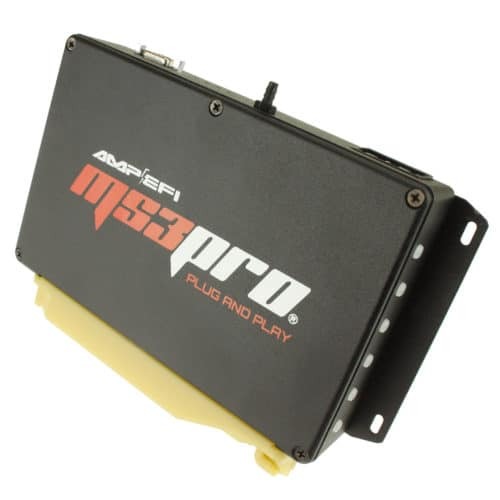 The MS3Pro PNP systems are designed to give you the full power of MS3Pro, but in a Plug N’ Play form factor that’ll plug right into your vehicle in place of the stock ECU.